Findorff is always searching for talented individuals to represent our company with integrity, quality craftsmanship and pride. If you’re interested in joining the Findorff family, please check out our current openings and apply today. 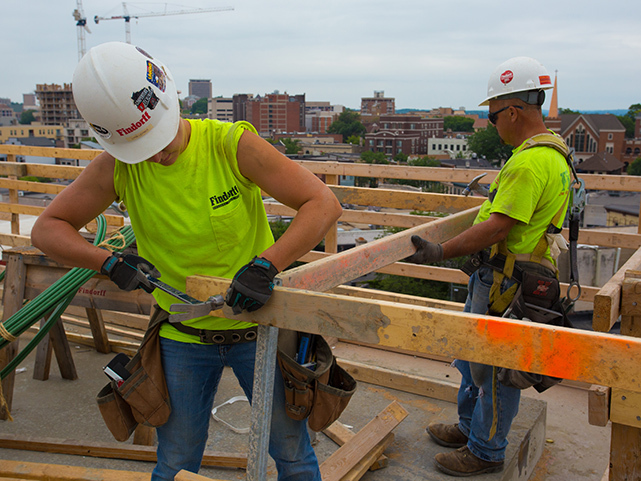 As one of Wisconsin’s leading builders, we’re always looking to add the best and brightest to our team. If you’re interested in joining the Findorff Family, please check out our current openings and apply today. 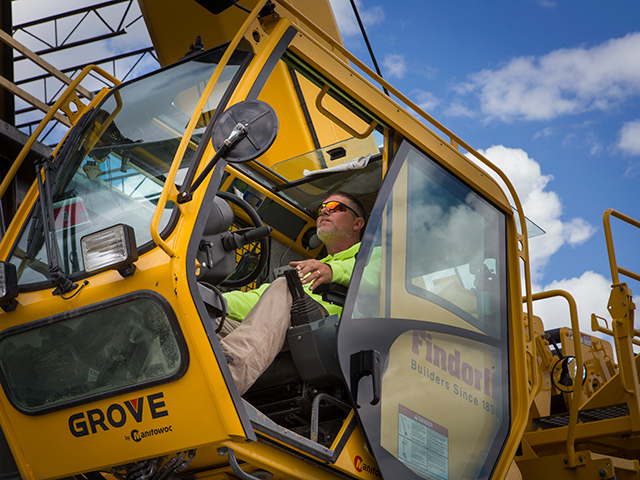 At Findorff, we offer learning experiences to get you excited about construction. You can choose between an internship, a 6-8 month co-op, or a job shadowing experience. The learning you experience at Findorff will be tailored to you! At Findorff, we have a knack for recruiting the brightest, most talented people at the onset of their careers. We meet many of these exceptional hires – interns, co-ops and entry-level employees – at career fairs. Whether you’re new to the trades or a seasoned skilled tradesperson, you will have a rewarding job that offers variety and potential to pursue opportunities for advancement in your career. Are you approaching high school graduation and unsure which path best suits you? There is a statewide program designed for high school students who want hands on experience working with skilled tradespeople on an active jobsite. Check out the Wisconsin Youth Apprenticeship Program to learn how to get involved! 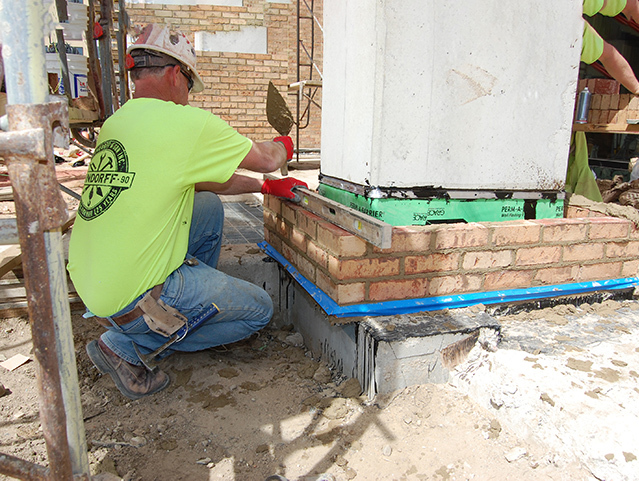 A bricklayer or mason builds or repairs structures corresponding to construction plans. A significant portion of the work is outdoors and requires a substantial amount of physical activity. Carpenters coordinate layout and schedule work with the other trades. They build or repair structures and framework. Ability to read plans is essential along with the demand of physical labor. 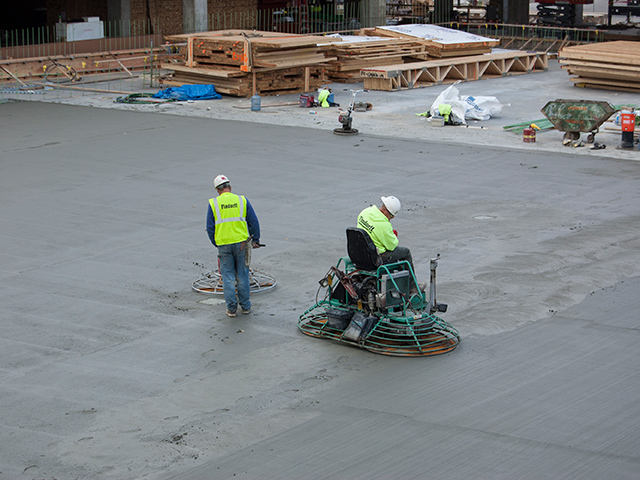 Cement finishers use a variety of tools to smooth and finish the surfaces of poured concrete. Attention to detail for how weather will impact the curing process and communication with truck drivers for facilitating pours is crucial. 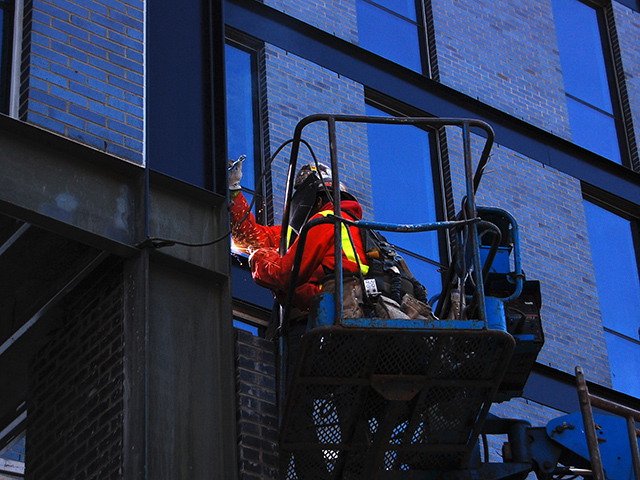 An ironworker installs or repairs iron or steel beams and columns to support a building or structure. Work is performed at great heights and is physically demanding. 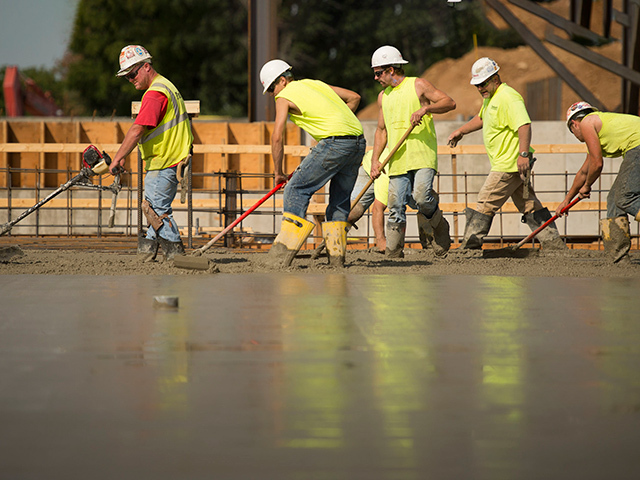 A laborer will perform a variety of tasks from operating hand and power tools, assisting with concrete pours, to helping maintain a clean job site. Heavy lifting and physical endurance is imperative. Operating engineers are trained to operate cranes, forklifts, backhoes, and other large equipment. Understanding precise limits and standards of accuracy is essential, along with being comfortable with extreme heights.